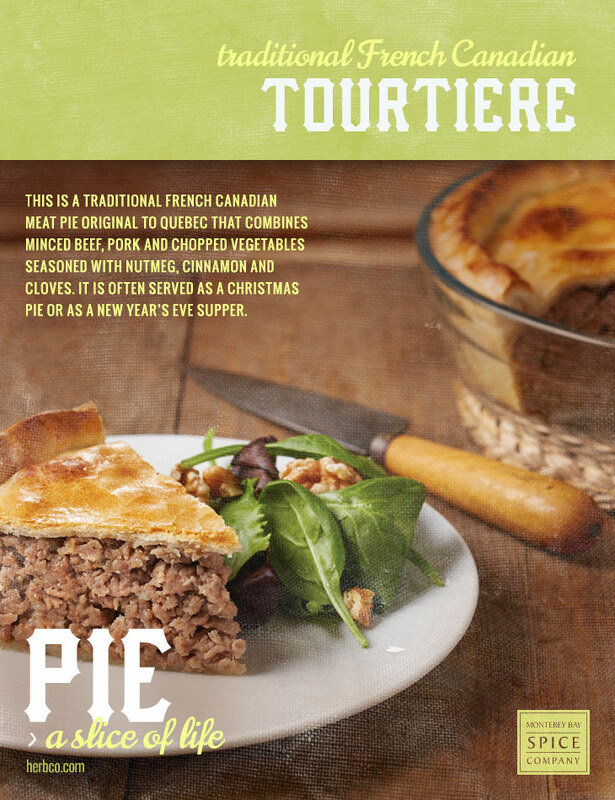 This is a traditional French Canadian meat pie original to Quebec that combines minced beef, pork and chopped vegetables seasoned with nutmeg, cinnamon and cloves. It is often served as a Christmas pie or as a New Year’s Eve supper. In a large skillet, brown beef and pork until no longer pink; drain off fat. Stir in onion, garlic, celery, carrot and bay leaf. Simmer over medium heat until liquid is reduced, about 10 minutes. Remove from heat; discard bay leaf. Add potato, black pepper, cinnamon, nutmeg and cloves to meat mixture; stir well to combine. Transfer mixture into a prepared pie shell. Combine egg yolk with 1 tablespoon water in a small bowl. Brush egg wash evenly over top crust and edges. Using a sharp knife, make 2 or 3 slits in the top of the crust. Bake 45 minutes, or until golden brown. Let cool 30 minutes before serving.